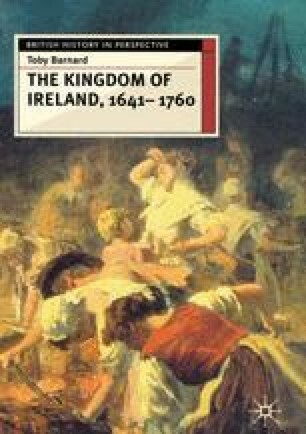 After 1690, the triumphant Protestants of Ireland had to attend to familiar tasks. They needed to complete the pacification of the island and ensure that it was not again disturbed by Catholic insurgency. Mundane but vital matters of administration, ensuring that the writ of Dublin ran into the remotest districts, and the interlocking issues of taxation and defence, dominated the deliberations of the victors. At the same time, the relationships of the minority with their near neighbour, England, which had ensured victory, and with those — the Irish Catholics — whom they had lately defeated (only with English and Dutch help) had to be renegotiated.